Martha L. Evans, 92, passed away peacefully at 11:05 pm on Monday, August 20, 2018 at Snyder Village in Metamora with her family beside her. Martha was born in Fairfax, MO to Raymond E. and Ferol E. (Eddy) Steele on July 15, 1926. She spent most of her life in the Fairfax community. She graduated from Fairfax High School and Park College in Parkville, MO. She later taught science and biology for 15 years at the Fairfax school she had graduated from. She married her high school sweetheart Albert E. Evans on June 20, 1948 and he preceded her in death on January 11, 1997 in Fairfax. Also preceding her in death were her parents, two infant children, brothers James and John, and sisters Elizabeth and Mary Margaret (Marge). Survivors include her son David (Cheryl) Evans of Metamora and numerous nieces and nephews. 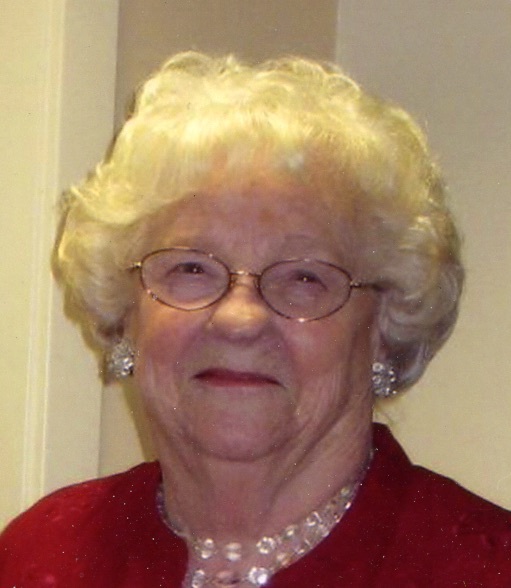 Over the years, Martha enjoyed reading, travel, china painting, doll collecting, and genealogy. Following a move to the Peoria area in 2002, she made many new friends and became an enthusiastic line dancer. Funeral services will be held at 2:00 pm on Saturday, August 25, 2018 at Fairfax United Methodist Church in Fairfax, MO with internment to follow at nearby English Grove Cemetery. Memorials may be given to a charity of the donor’s choice. Online condolences at www.masonfuneralhomes.com.